Thanksgiving has just come and gone. I always feel like I am swimming in recipes by this time. The funny thing is I almost always stick to the tried and true. 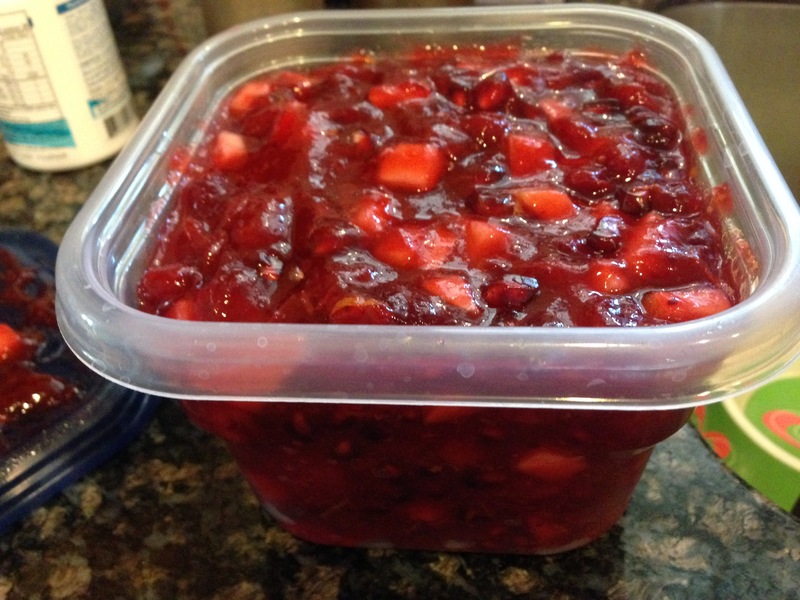 But 1 item that I make, when almost the entire world buys pre-made, is Cranberry Relish. One of the few dishes that my Mom made that was wonderful. 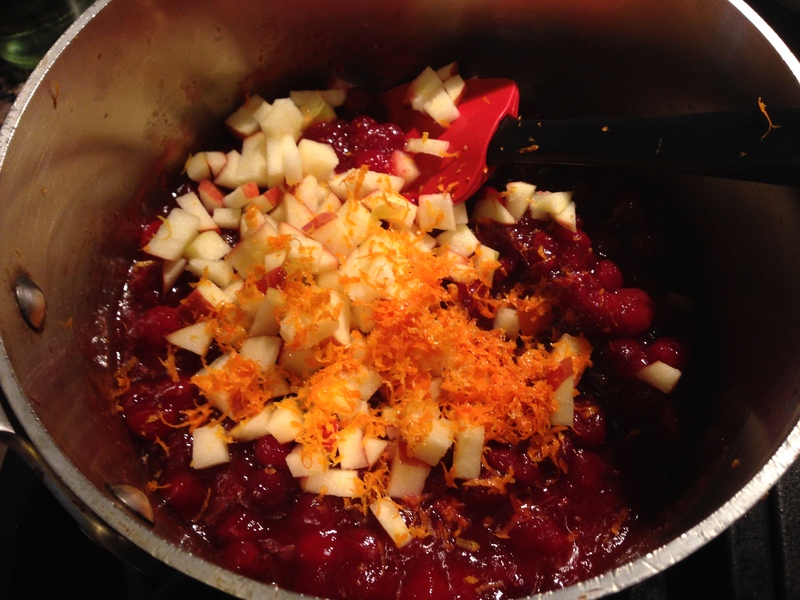 So I thought that I would give you my take on Cranberry relish. 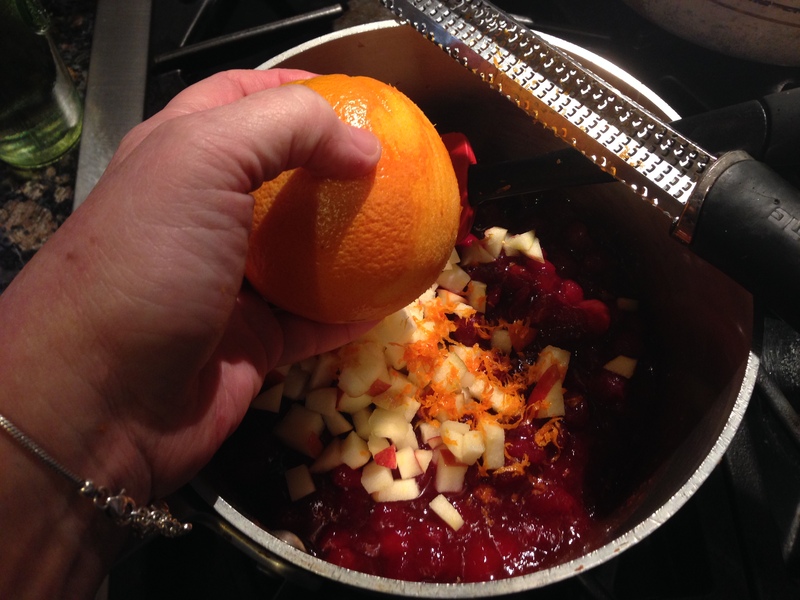 If you are going to someone else’s house for a Holiday party, offer to bring the Cranberry relish. It is super easy to do. You are going to start by washing and sorting the cranberries. You are looking for mushy ones that have started to go bad. Throw them out. All berries should be firm. Place the berries in a medium saucepan. Pour in enough apple cider to come near the top of the berries, but not enough for them to float. Add the cinnamon and cloves, and bring to a simmer over medium heat. Once they start to simmer you need to watch the pan and move the berries around. I shake the pan, but you can use a spatula. You are going to cook the berries just until they all seem to be popping. This should only 1-2 minutes. When they get to this stage remove them from the heat. Stir in the Jell-O. Mix thoroughly. At this point you can set the relish aside and come back or you can finish the dish. At the very least let it come to nearly room temperature. You do not want to cook the other fruits. If you are finishing the dish, now is the time to remove whole Cinnamon and Cloves if you used them. Add the chopped apple. Make sure that you taste your apple and that it is tasty. Don’t use a mealy tasteless apple. Zest the orange into the pan. 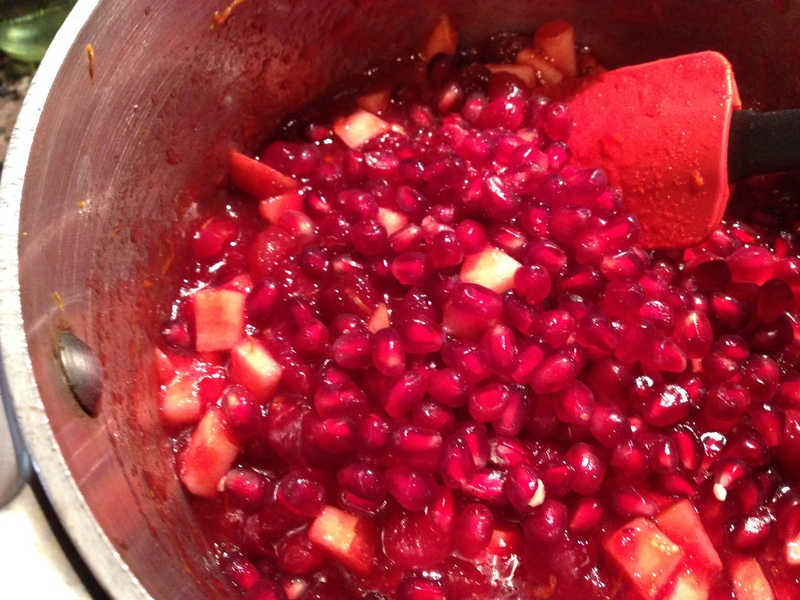 Add the Grand Marnier and pomegranate. Stir until fully integrated. Now taste the relish. If it is too tart add a teaspoon of Agave syrup. Keep adding by teaspoons until you get the mixture to the right sweetness. The relish should still be tart, but not tart enough to make it sour. Place into a plastic container. Refrigerate until the meal. You can make this a week ahead if you can keep people out of it. I made a batch a week ago and it is gone. Thank You Sister Yaya!